My charges vary according to the nature of the work required to be undertaken and the extent to which I find it interesting, challenging or of some benefit to society in some way or another. On this basis my actual quoted charges for undertaking a project may well vary from my baseline hourly rate which is £37 per hour plus any material expenses necessarily incurred. 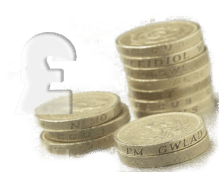 For specific pieces of work, however, I am able to provide a bundled charge comprising a one-off payment followed by an annual support charge. I am also willing to consider special deals for not-for-profit and charitable organisations. Please do contact me for a no-obligation quotation. Serving Brentwood, Essex & beyond.